Who doesn't enjoy a delicious caipirinha? When you visit Brazil, you can enjoy native liquors mixed and shaken into the finest cocktails to ever pass your lips. As well as liquor, Brazil is a great place to find amazing craft beer. To top it all off, if you take a tasting tour in this country, you can take the opportunity to spend some time on the beach too. Looking to try local craft brazilian beer while in Rio de Janeiro? Then this is the tour for you! 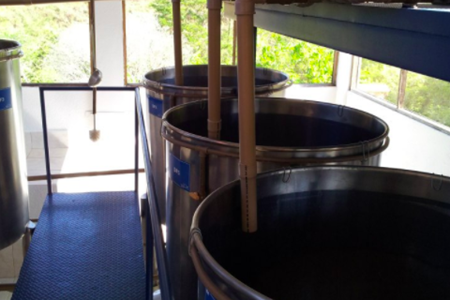 On this 4 hour brewery tour you will learn the process of artisan brazilian beer ... moremaking. You will taste first hand the water + malt + hops + yeast that go into making these craft brazilian beers. 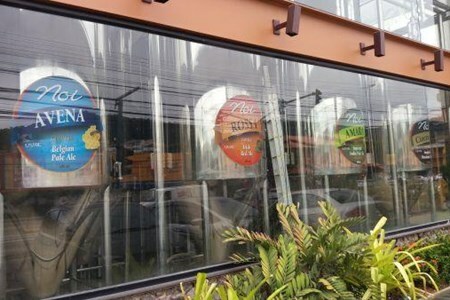 This craft beer tour will take you to Cervejaria Noi in the city of Niteroi just 1hr from Rio. Brewers are on hand to answer all your questions in regrads to the brewing process you may have ... you won't leave with any doubts! Cachaça is a Brazilian distilled spirit similar to rum made from fermented sugarcane juice and aged in oak barrels. Cachaça is the most popular distilled alcoholic beverage in Brazil ... more... it's used in Caipirinha's Brazil's most famous cocktail! On this tour get to know the art of making real cachaça! Learn about the fermentation process and taste different types of local cachaças and liqueurs. This unique cachaça distillery tour on the west side of Rio de Janeiro where the small sugar cane plantations are located is a must while visiting Brazil. 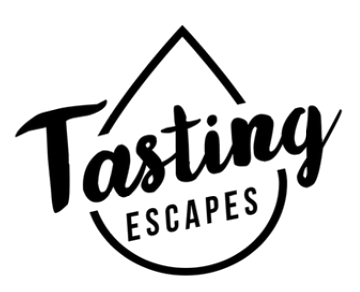 On this 5-hour small-group tour, a local guide will take you to learn about the fermentation and distillation processes involved with making cachaca. After tasting different kinds of cachaça and local fruit liqueurs, relax and take in the stunning views of the surrounding Atlantic Forest. You will be picked up at 10am from your accommodation in central Rio de Janeiro and will be driven to Barra da Tijuca and then to Guaratiba, the drive takes around 1 hour where during this time your guide and cachaca expert will explain you the history of the sugar plantation in Brazil. As soon as you arrive at the cachaca distillery you will have a time to admire and take in the amazing mountain views that surround you. At the start of the tour you will visit the sugar cane plantation and learn more about this plant, after the guide will explain the special technique to cut it off, then the fermentation process. Feel free to ask questions about the process. The most interesting thing is the special pot still that creates an unique spirit with really low levels of copper resulting in an outstanding taste. Afterward, your guide will take you to the maturation room where old oak barrels already used to mature scotch whisky, gives a distinctive flavor to the cachaças. At the end of this amazing experience, guests will be able to relax in the bar and taste different cachaças aged for 2, 4, 6, 12 and 18 years and also some unique fruit liquors made with white cachaça. After your tasting, your guide will take you back to your central accommodation in Rio de Janeiro. With the Cervejaria Bohemia Beer Tour you will get to know one of the largest beer brewing locations in the world, located in the historic city of Petrópolis. Petrópolis is located ... more37 miles (60 km) away from Rio de Janeiro and has been called the Imperial City since the times of the Emperor Pedro II. Settled by the Germans, Petrópolis keeps the memory of Brazilian history alive with its buildings and charming streets. Cervejaria Bohemia is famous for producing “the best beer in Brazil” - it is a local Brazilian favorite! 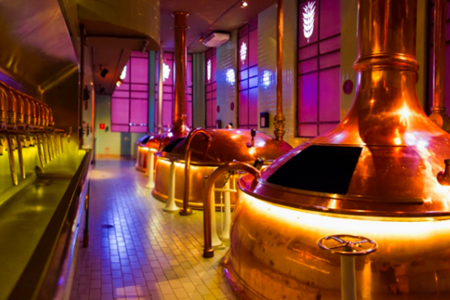 Even those who aren’t beer enthusiats will leave this informative tour with knowledge not only about Cervejaria Bohemia, but about the history of beer across the world. Cervejaria Bohemia is truly one of the most unique breweries in all of Latin America. Every step of the brewing process is interactively explained—where you can touch, hear, see, and smell the process of beer being made. At the end of the tour, you will get to taste freshly brewed Bohemia beer, and many of the their specialty beers that are only available at the brewery. Make sure to grab a drink at the adjoining restaurant and popular Bohemia bar, it’s the onle place in Brazil where you can enjoy a pint of Bohemia beer from the tap! 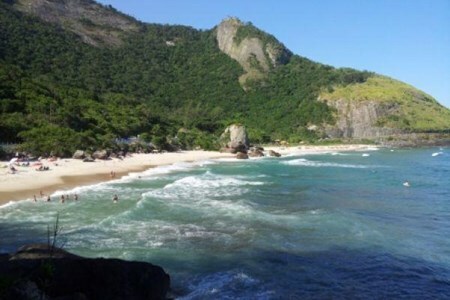 Spend the day enjoying the amazing beaches of the west side of Rio de Janeiro. You'll visit Recreio, Prainha and Grumari beaches and then end your day with a visit to the cachaçaria ... moreMaxi Cana to discover the art of making Brazil's most famous distilled spirit cachaça. Cachaça is a Brazilian distilled spirit similar to rum made from fermented sugarcane juice and aged in oak barrels. Cachaça is the most popular distilled alcoholic beverage in Brazil ... it's used in Caipirinha's Brazil's most famous cocktail! On this tour get to know the art of making real cachaça! Learn about the fermentation process and taste different types of local cachaças and liqueurs. This unique cachaça distillery tour on the west side of Rio de Janeiro where the small sugar cane plantations are located is a must while visiting Brazil. On this 5-hour small-group tour, a local guide will take you to learn about the fermentation and distillation processes involved with making cachaca. Your cachaca expert will explain you the history of the sugar plantation in Brazil. As soon as you arrive at the cachaca distillery you will have a time to admire and take in the amazing mountain views that surround you. A delicious introduction to food and drinks from the different regions of Brazil. Over the course of 5-6 hours, you'll discover bustling street markets and explore the backstreets ... morethat most tourists never see. During the tour we'll taste exotic fruits and street food dishes, an ancient Portuguese restaurant, a totally authentic Amazonian hole-in-the-wall and a traditional northeastern restaurant. As well as delicious food, there'll be delicious caipirinha cocktails, juice tastings, locally brewed beers, cachaça tastings and more besides. 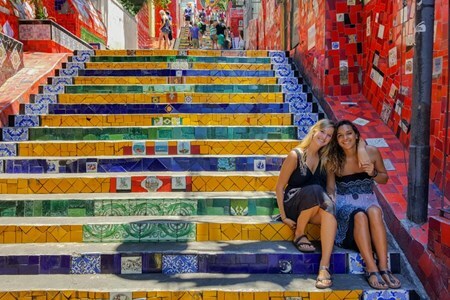 As well as eating, your guide will give you information about the history and culture of the city, recommendations on the best bars, restaurants and samba clubs in the city and anything else you might want to know. 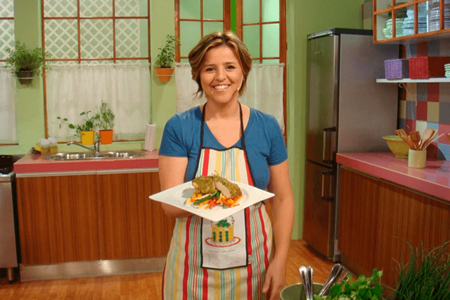 Are you eager to discover the Brazilian food history and the main ingredients? Join us in our Brazilian cooking class and learn step by step how to prepare a traditional Brazilian ... moredish. You'll enjoy cooking the dish on your own with the group. This experience gives you a chance to enjoy a great meal and also create new friendships.